Update June 9 – Added additional comparison shots, turns out the new gen Impossible film is quite different from earlier generations, skewing my initial results. The article has been rewritten. It’s a shootout between the Impossible Project I-1 camera, the Fuji Instax Wide 300, Lomo Instant Wide, and classic Polaroid Impulse AF! 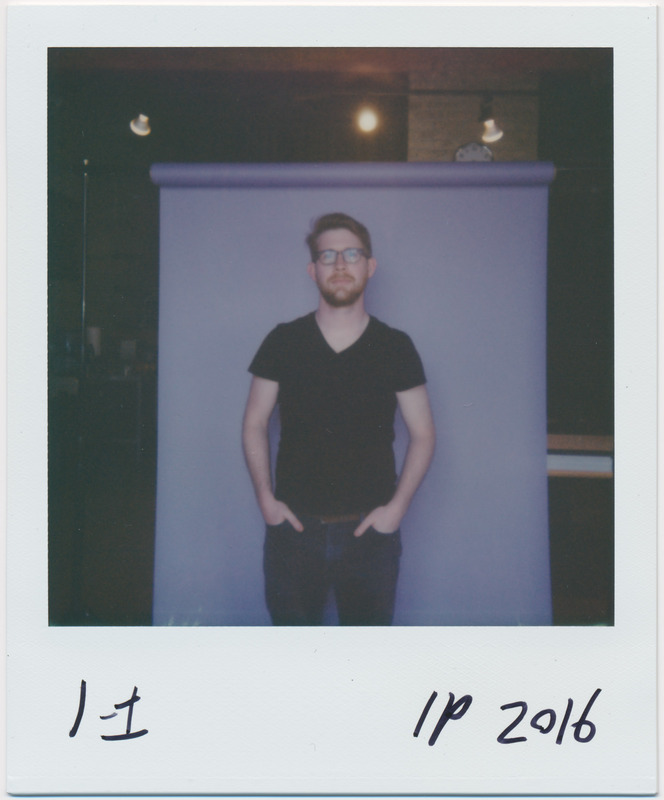 Since the I-1 has a ton of features for portrait photography, I decided to do a simple studio shoot to see how it did in different lighting setups, as well as compare it to its competitors in the instant film world. 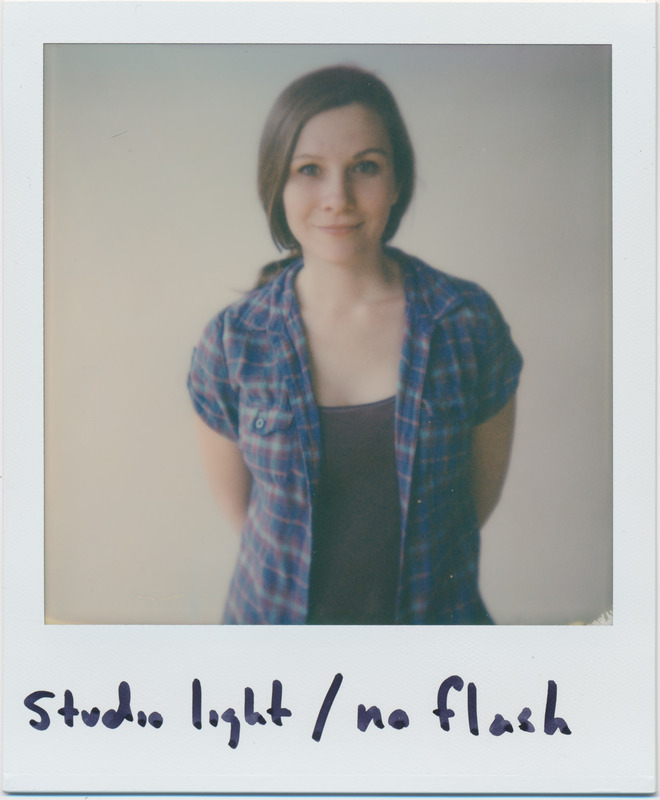 For studio lighting, I used daylight balanced Kino-flos (continuous lighting) and some LEDs to serve as backlights. When I turned the studio lights off, a small amount of daylight coming through the window serve as fill. Daylight balanced lights match the flash on the cameras, and I made sure to keep everything fairly soft and even. All of these photos were scanned with a Canoscan 9000f and have the same post-processing. Typically I crop out the frame and do some color editing, but these are pretty much straight out of the scanner. All of the Impossible I-1 photos were taken using brand new Impossible I-type film, which is basically the same as Impossible’s film for 600 type cameras except without a battery. This is a new chemistry, and a new review will be coming as soon as I test out more of the film in a variety of cameras. First up is a photo using both studio light and flash. This is my default setting for using Polaroid cameras, as I’ve found that typically it isn’t worth it fighting a flash that can’t be turned off. I’ve also grown fond of the added effect of the Polaroid flash. But enough about Polaroid – what do we have here? A pretty well exposed image, but it seems a bit dull and low contrast. Not out of focus, but not super sharp. Slight red eye, but nothing image-ruining. Turning the flash off, but keeping the studio lights on gave me the best results with the I-1. The eyes look normal, and the color, while still dull, feels nice and even. The overall softness of the image plays nicely with soft light. Turning off the studio lights, we can see the ring flash in action. The background shadows and overall lighting of the face are great, but the red eye here is atrocious. Significant digital correction could fix the red-eye in post, but the image itself is pretty much ruined. Sharpness and focus remains the same as when the studio lights were on. All of these were taken using the I-1’s automatic modes. I took a bunch of pictures with manual mode, but ended up ruining more pictures than anything else. I’m grateful that it’s there, and it is immensely helpful in seeing what the camera is doing, but for a shoot like this it didn’t serve any practical purpose. Hey, there are those Impossible Project colors that I like so much! 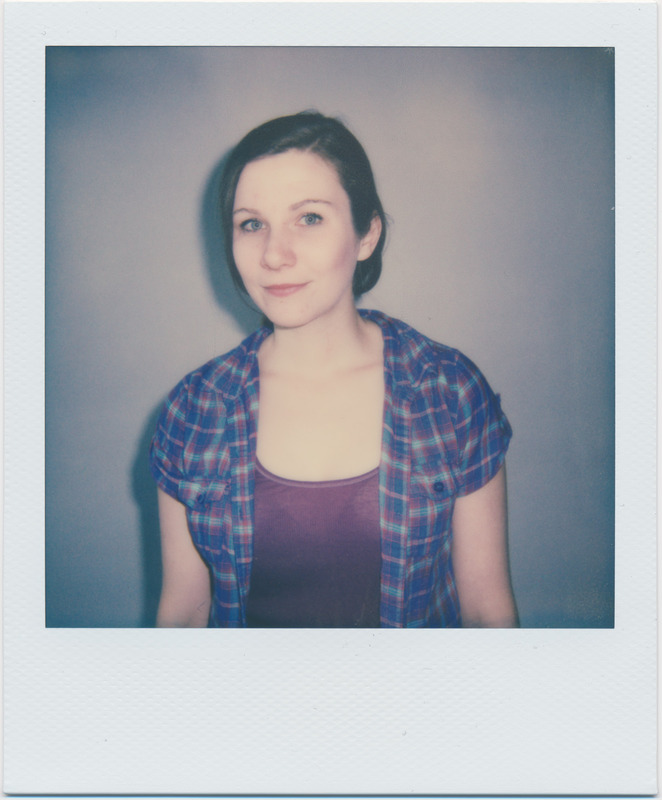 I used Impossible Project film for 600 beta gen 3.0, which is last generation of film that Impossible made right before releasing the current generation of film I shot in the I-1. Honestly, I was extremely surprised by the dramatic different in color and sharpness. One of the primary reasons I shoot Polaroid/Impossible Project film is that even the dullest setup in the world (gray backdrop) will take on a life of its own with this format. Here, the background takes a dark blue cast that contrasts with a slight pink tint on the model’s skin. However, as I found out later, the new film does not behave in the same way, so this may not be an option once current stocks of older Impossible film dry up. 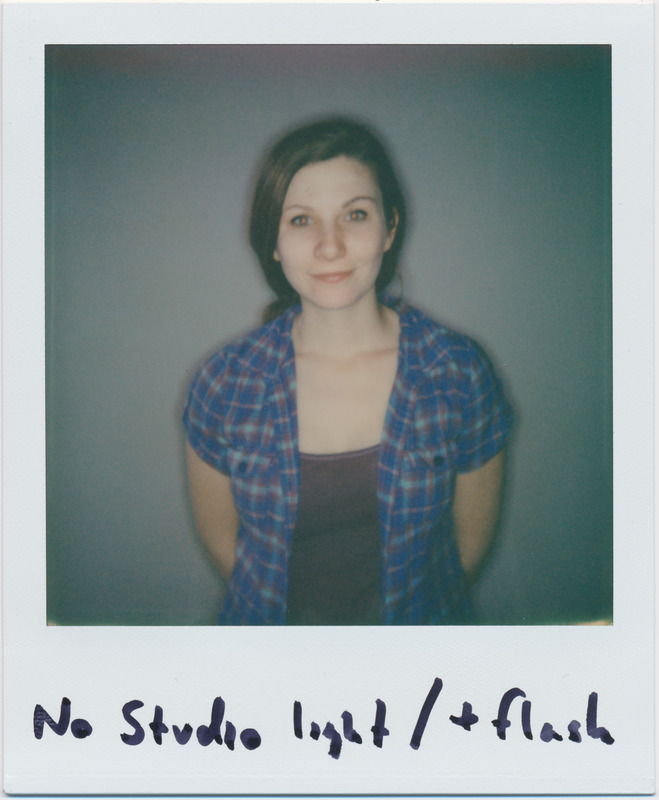 The Impulse AF is a Polaroid camera with autofocus, but generally even fixed focus Polaroid cameras are fairly sharp. If you take a look at the model’s shirt, you can see detail is excellent. This shot is with flash and minimal studio lighting. The shadow cast by the flash is off to the side in a weird way, which is less pleasant than the shadow from the I-1’s ringflash, but look at those eyes! Not even a hint of red eye even with a clear highlight. This is part of the reason why the red eye on the I-1 surprised me: I haven’t worried about it for years shooting Polaroid cameras. Previously only my Fuji Quicksnaps gave me that headache to deal with. Let’s jump over to the Fujifilm side of things, shall we? If you want a brand new camera, Fuji Instax cameras are your only choice other than the I-1, so they’re worth taking a look at here. 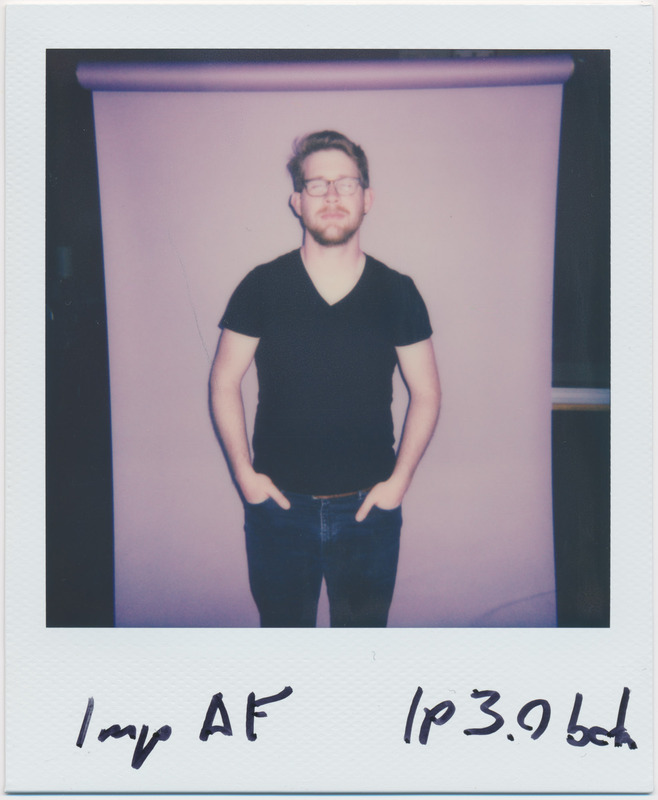 This photo is pretty typical of my experiences with the Instax 300 camera when compared to the Impulse AF. It’s sharp, contrast-y, just a hair overexposed, and has accurate colors (that I sometimes find boring.) 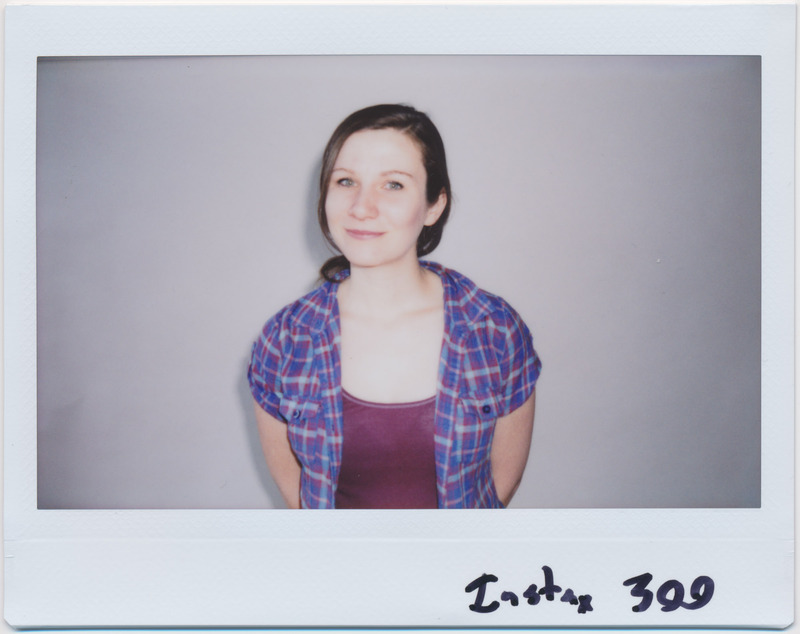 While the Instax 300 isn’t the world’s sexiest camera, it does the job without a problem. The flash gives a look similar to the Impulse AF and causes extremely slight red eye that doesn’t bother me. 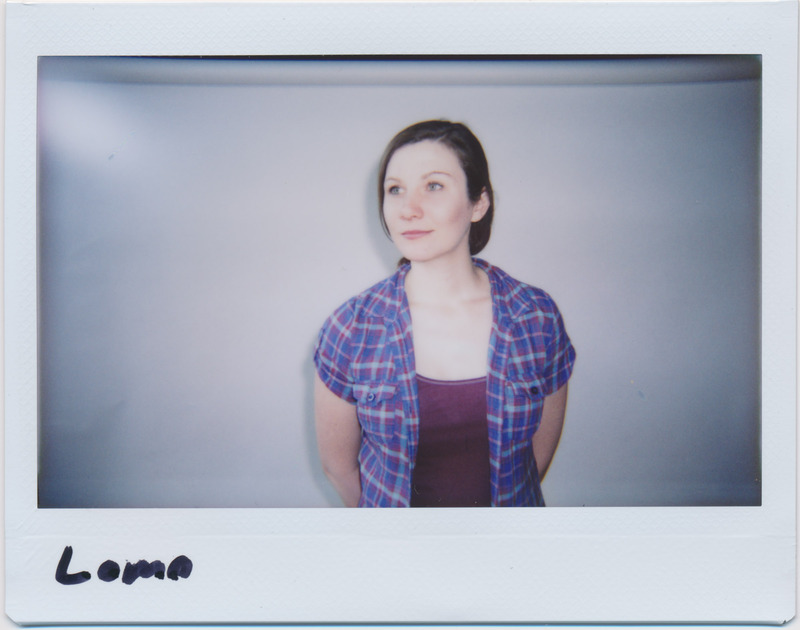 The Lomo Instant Wide behaves predictably, with a softer image than the Instax 300. What you can’t see here is the several attempts it took me to get the manual focus right and the shot framed correctly. This camera is truly a pain to use, and I’ve found myself largely ignoring it as a result. In my first test, the I-1 was using newer film than the Polaroid Impulse AF, so I decided to do another test using the exact same film between two cameras. Turns out that the duller colors are a result of the new film chemistry rather than the camera itself. I’m not sure why the new film looks so different than IP 3.0 beta and other previous IP films, but it is. Please excuse my terrible handwriting and the crazy framing. 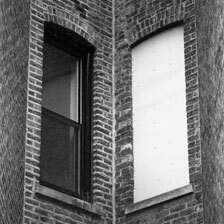 First, we have the Impulse AF with the same IP gen 3 beta film that I used above. 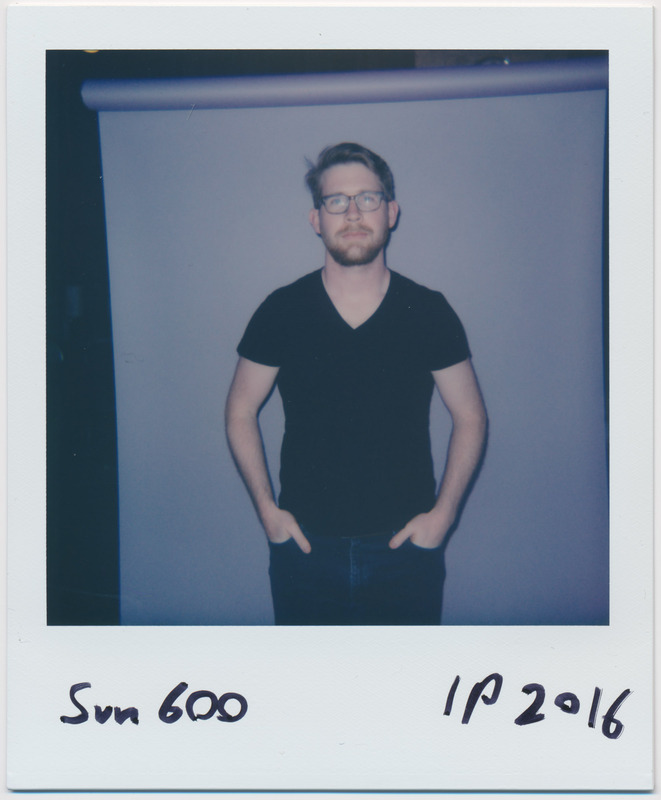 Now we have the Impossible Project’s new film for 600 cameras shot on a Polaroid Sun 600. The film is the same that I used in the first I-1 shoot. As you can see, there is a huge difference between the two generations of film. The backdrop looks an entirely different color. The new film is more accurate, but not nearly as vibrant and interesting. Finally, the I-1 has very similar colors as the other Polaroid camera with the same generation film. It’s a bit blurrier than the others. You can also see that my attempt to frame it the same as the others failed. I was quite surprised with the difference between the Polaroid Impulse AF and the Impossible Project I-1. I’ve gotten used to the very similar image quality between all Polaroid cameras, but maybe this isn’t something I should’ve taken for granted. Even Polaroid’s cheapest, plastic-y cameras are sharp and produce a quality image. Regardless of film, this comparison gives a pretty accurate representation of the quirks and general look of each camera when used for simple portraiture. None of them are exactly ‘better’ than any other one; it’s all just a matter of taste and goals, really. If color accuracy, ease of use, sharpness and cost matter most, the Fuji Instax 300 looks best in that department. Personally, I like the older Impossible film paired with the Impulse AF the best. The image is sharp, contrast-y, and the colors are vibrant and all over the place. The I-1 is more subdued and is a bit less sharp, but the red eye is a killer. 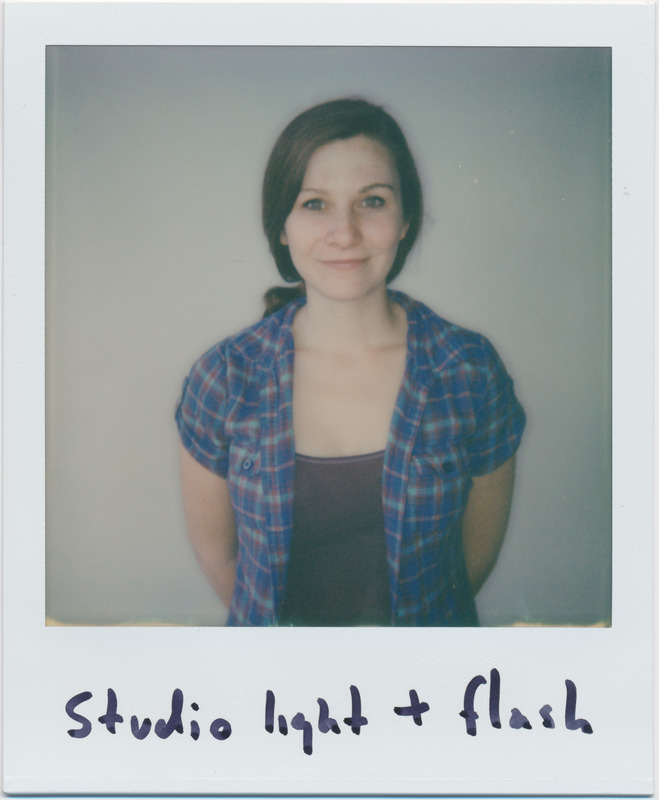 Full studio lighting setups are the exception, not the norm, which means that the flash needs to be used more often than not. However, I can see some people really responding to the soft look of the I-1. Each camera is a tool, and if you like one look over another, than that’s the camera for you. This is why these kind of visual comparisons are helpful. Check out my full review of the I-1 for more details. You can buy the Impossible Project I-1 at Impossible’s store or at Amazon. Please support this site by using these links to eBay and Amazon when purchasing gear. It costs you nothing and helps me out a ton. Thanks and happy shooting!